I’ve recently been working on a new book, a Marcus Miller transcription book featuring tunes from his 2012 album Renaissance. The book only contains five songs, but they’re long, complex pieces that have been challenging and time-consuming to transcribe. But they’re done. I recently mentioned to someone that I had completed the transcription work on this project and that I only had to write a biography, a gear breakdown, a detailed style analysis and 1000 words of performance notes per song. ‘Is all that really necessary?’ they asked. I thought about this for a while. The answer is that no, it’s not strictly necessary – bassists who like Marcus’s music will probably buy the book regardless. However, as a writer I believe it’s crucial to write books that I would want to read and this is a view that has informed everything I’ve ever written. When I think back to the books that I learnt from as a teenager, certain ones stand out: of particular note was The Stuart Hamm Bass Book, a transcription book which covered all the best tunes on his first three albums. Back then I was (and still am) a massive fan of Stu’s and so finding this book – which is now very difficult to get hold of – was a real stroke of luck. I loved it: not only were the transcriptions accurate (they were checked by Stu), but there were performance notes for each song, bits of advice on how to play specific parts and comments about the sci-fi novels that had inspired the names of the songs. I loved all this and would pour over every sentence, using this additional information to help me master the songs. I even read some of those sci-fi novels. It’s books like this that have stuck with me over the years and it’s these books that I think of when writing my own. No, you don’t need to read a biography of a musician to learn their songs, but in my opinion, learning about their life, their choices and their career can only be helpful when doing so. It’s the same with performance notes: in the process of transcribing songs I always research the best fingerings to use, even watching videos of the artists playing the pieces to see how they play them. If I have researched this information, why not include it? 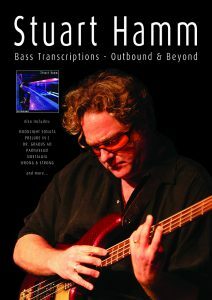 A nice footnote to this is that twenty years after finding The Stuart Hamm Bass Book, I was able to write the ‘sequel’ – Stuart Hamm Bass Transcriptions: Outbound & Beyond. Having met Stu a few times, and with a considerable amount of publishing experience under my belt, I approached him with the idea. To my delight he agreed to it and of course offered to check through the transcriptions for accuracy. I also did a couple of lengthy phone interviews with him talking about ways to approach certain parts and was able to include a lot of quotes in the book from the man himself. The finished result was a book I certainly would want to have read if someone else had written it. This is the way that I approach all of my books. It’s not enough to merely write about something, I have to research it deeply and if possible interview the artists themselves for their input. My inclination to do this has paid off over the years: I frequently get emails from people thanking me for including this information and it often gets mentioned in reviews too. 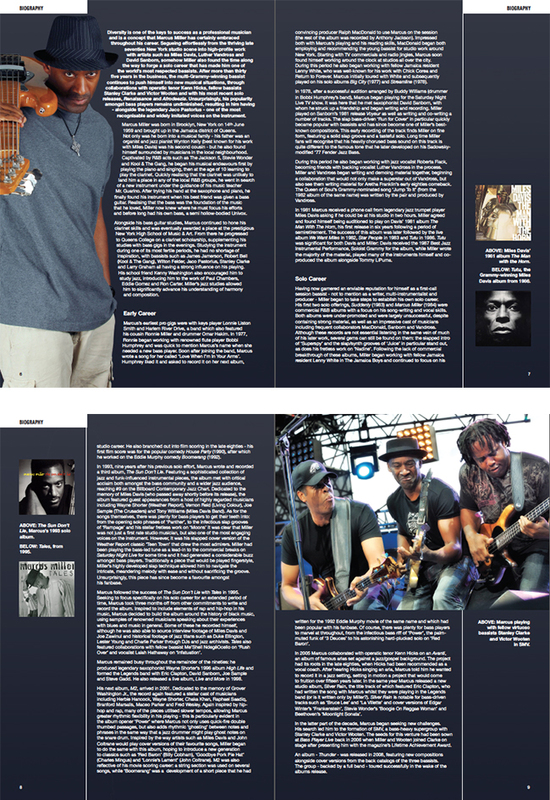 So the new Marcus Miller transcription book is coming… you’ll just have to wait whilst I finish writing this biography.